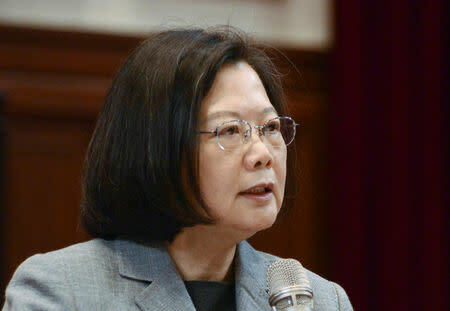 TAIPEI (Reuters) - Taiwan President Tsai Ing-wen called on Saturday for international support to defend the self-ruled island's democracy and way of life in the face of renewed threats from China. If the international community did not support a democratic country that was under threat, "we might have to ask which country might be next?" Tsai added.